Updated annually with the latest AICPA content guidelines, Wiley CPAexcel Exam Review 2015 Focus Notes provides a review of all the basic skills and concepts tested on the CPA exam and teaches important strategies to take the exam faster and more accurately. 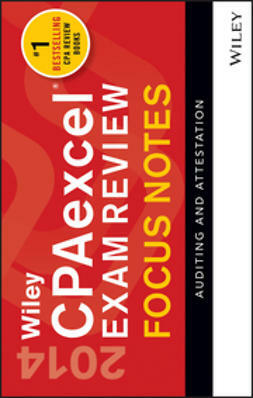 Filled with acronyms and mnemonic devices to help candidates remember the accounting rules and checklists needed to pass the exam, Wiley CPAexcel Exam Review 2015 Focus Notes provides a thorough review of all basic skills and concepts needed for the exam. In order to assist candidates in successfully performing exam simulations, Wiley CPAexcel Exam Review 2015 Focus Notes include references to authoritative literature, sample spreadsheets, and key concepts, tips and tools to facilitate research.